John Lewis has launched its highly-anticipated Christmas campaign. After last year’s bouncing boxer dog, this year, the department store chain has opted for a different approach. 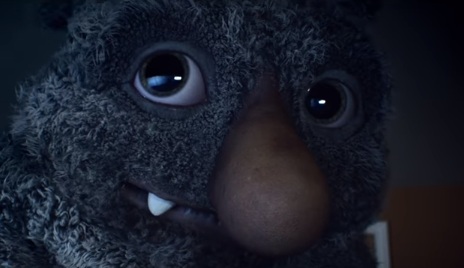 The spot, titled #MozTheMonster, created by agency Adam&Eve, features a young boy named Joe who cannot fall asleep at night because of a noisy monster living under his bed. Soon, the two become friends and begin playing and having fun together during the night, but this leaves the kid tired by day. The short film shows Joe falling asleep when he should actually be awake, during football games, where he is a goalkeeper, at school, at the barber shop, and, at some point, even during the games he plays with the “dragon”, as he calls him. Moz realizes the impact their relationship has on the boy and has an idea. The next scene features Joe on Christmas morning finding under the tree a gift wrapped in brown paper that gets his attention. Opening it, he finds a night light that proves to be helpful during the night, allowing him to get to sleep with no problem. This, however, makes Moz disappear.